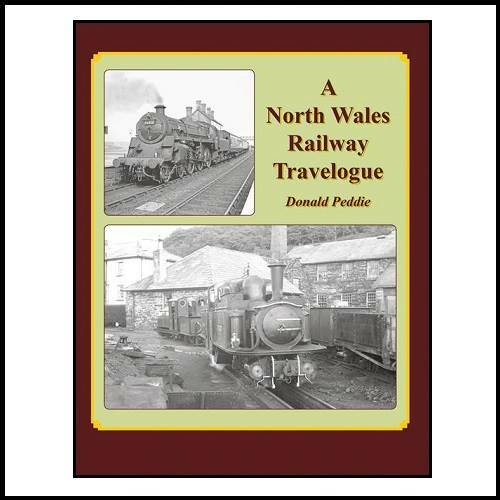 Donald Peddie's late father Ian had a passion for railways, mainly Scottish but also for the narrow gauge lines of North Wales. He was able to indulge the latter on family holidays to various of the North Wales coast resorts in the late 1950s and early 1960s, and thus captured the early days of Welsh narrow gauge railway preservation, along with some of the other narrow gauge systems which were still commercially operational. However, having a Scottish Region lineside photographic pass, it was not too difficult to make arrangements to visit standard gauge lines and sites, including the locomotive depots at Llandudno Junction, Aberystwyth and Machynlleth. Other standard gauge locations covered include Afon Wen Junction, long since disappeared from the railway map, and the Cambrian line around Criccieth. but it is the images taken on the narrow gauge lines - the Festiniog, Talyllyn and Vale of Rheidol, and the various quarry systems such as Bethesda, Dinorwic, Pen-yr-orsedd and Penthyn, and at the various narrow gauge locomotive workshops, such as Boston Lodge, Coed-y-Park and Pendre, where unguarded belt driven machinery was then still in daily use - that will surely delight the most.